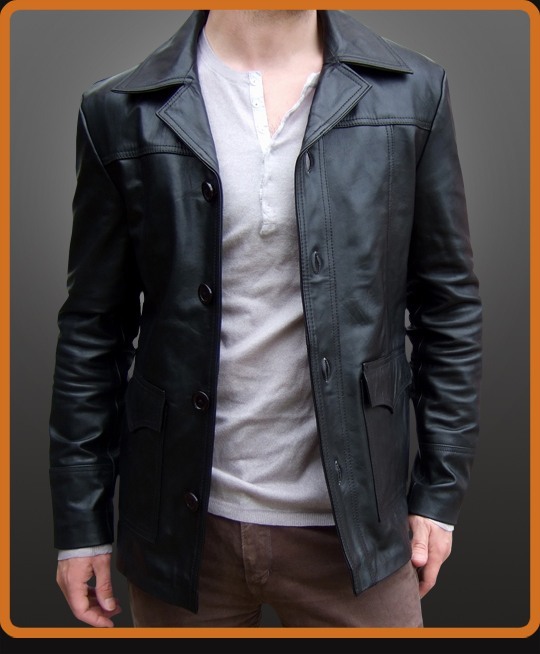 This is a black version of the Fight Club style jacket. Cool black leather in 70s designer style. Available in Black and Antique Brown.